In this long-awaited release: Polls, new tools for managing followers, new frontpage design, new admin features, Keybase integration, and more. Mastodon now has a poll feature. Instead of attaching images or video to your post, you can ask your followers to choose an answer to your question. You can choose how long a poll will remain open for. Polls in private posts are accessible only to your followers. You can now choose which hashtags to feature on your profile. They will be displayed on the sidebar and allow visitors to browse your posts specifically under those hashtags. A new server setting will allow communities to grow without worrying about spammers, trolls, or unexpected traffic spikes: Instead of allowing everyone to sign up, or allowing nobody to sign up, a server owner can choose to let people apply for an invite and manually approve sign-ups. The landing page has been simplified to its essence: Sign up form, quick access to a login form for returning users, short and to the point information about the server, and links to ways of exploring the server. 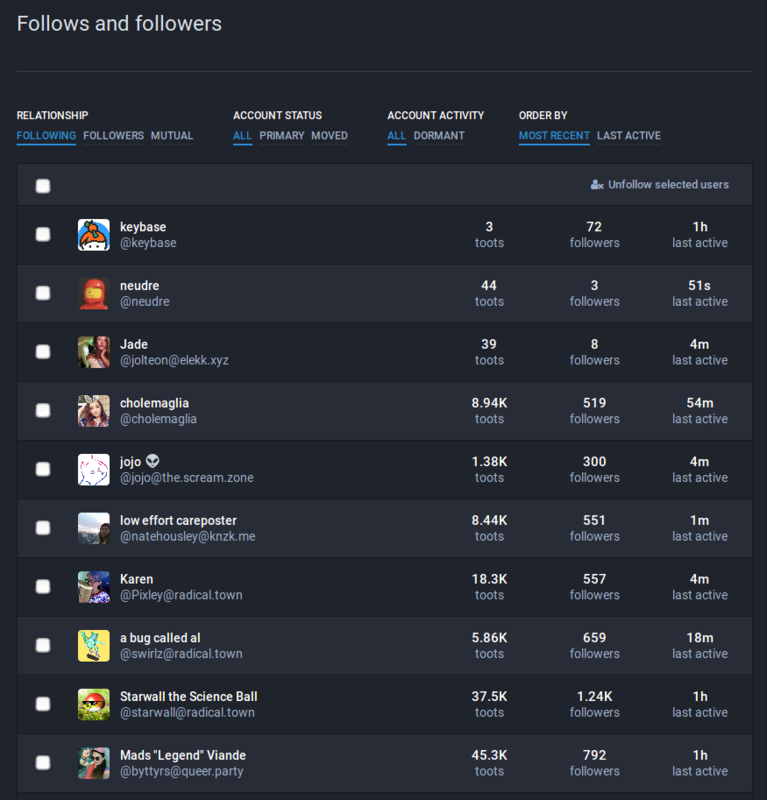 There is a new powerful UI for managing your followers and follows. It allows you to filter them by various criteria, such as your mutuals, or who hasn’t been active in a long time, and you can unfollow them in batches, as well as remove them from your followers in batches. 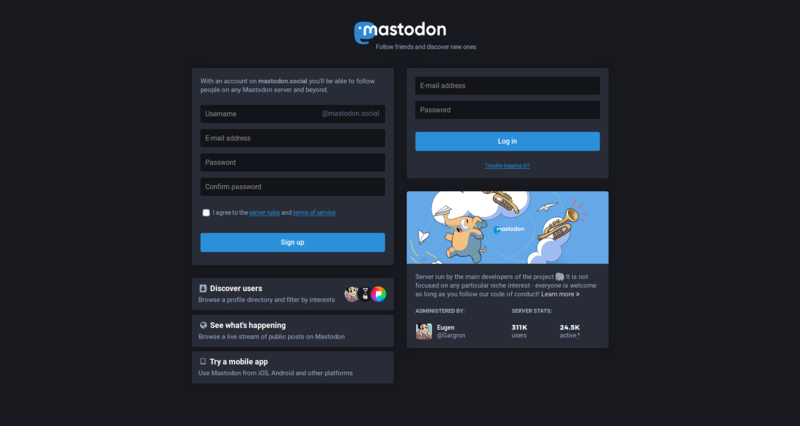 Among other things, Mastodon now supports Keybase’s new proof system, allowing you to connect your Keybase account with your Mastodon account to affirm your identity across the web. 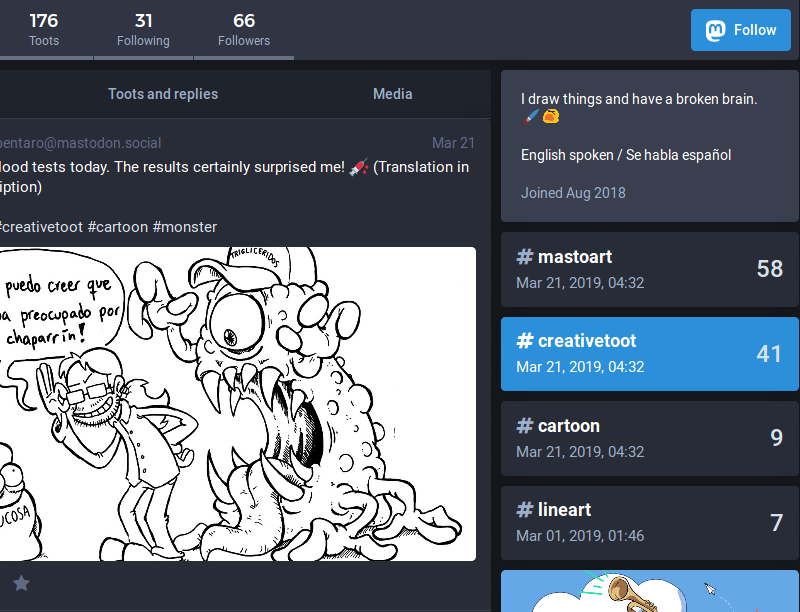 Keybase is slowly rolling this feature out on their side, and it will eventually be available to all Mastodon servers. The 2.8 release consists of 392 commits by 32 contributors since January 28, 2019. For line-by-line attributions, you can peruse the changelog file, and for a historically complete list of contributors and translators, you can refer to the authors file, both included in the release. We have published a 1-click install image on DigitalOcean. This reduces the initial time investment in self-hosting Mastodon substantially. You create a new droplet, choose the Mastodon image, and once it boots up, you are taken through an interactive setup prompt. The only necessary information for the prompt is a domain name (it should already be pointing at the IP address of your droplet!) and credentials to some e-mail delivery service, like SparkPost, Mailgun, Sendgrid, or something similar.